What a day! I’m in the middle of running some very popular LEGO workshops for Leeds City Council and Leeds Markets, and I was asked to appear on BBC Radio Leeds to talk about the LEGO Workshops at Leeds Kirkgate Market. 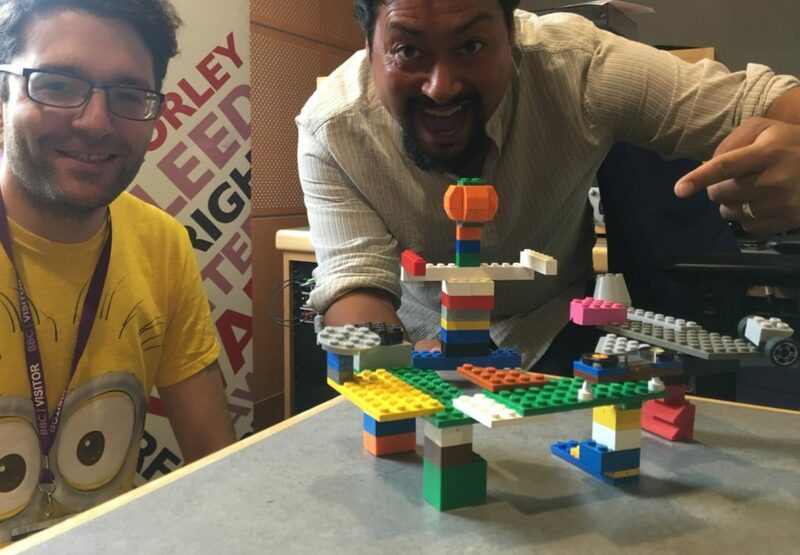 Presenter Nick Ahad was challenged to build a model of his choice with LEGO bricks, and he delivered; a radio DJ desk with a LEGO model of himself (including pumpkin head!). A great result for a first attempt with limited parts. Entry is free (spaces limited), and we run from 10am – 4pm. Come and join in the fun!